The U.S. Food and Drug Administration (FDA) announced on Thursday the approval of an arm implant that could help to treat opioid addiction. It contains small doses of buprenorphine, which is used to prevent withdrawal symptoms caused by the lack of continuity of other opiate-type narcotics. The implant is called Probuphine and San Francisco-based Titan Pharmaceuticals Inc., and Braeburn Pharmaceuticals based in Princeton, New Jersey, will commercialize it. 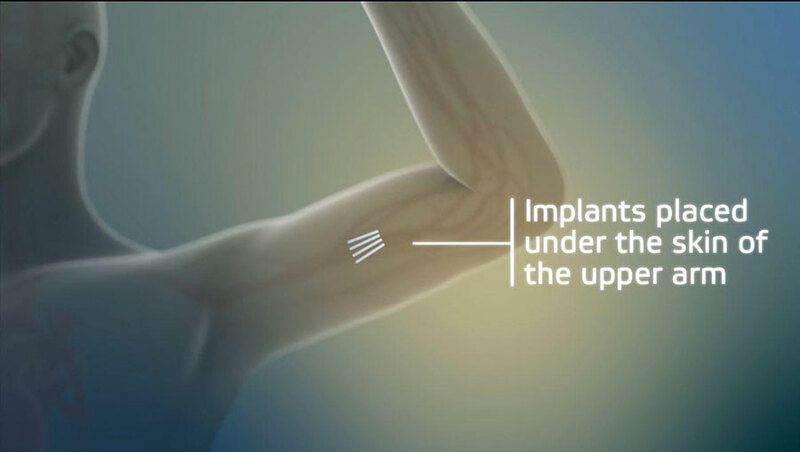 The implant consists of four one-inch long rods that are implanted under the skin of the upper arm and provide treatment for six months, according to a press release from the FDA. It is designed to deliver a constant low-level dose of buprenorphine to patients who are already stable on low-to-moderate doses of other forms of buprenorphine. The implant, according to the FDA, should be used as part of a complete treatment program that includes counseling and psychological support. Currently, the only forms of buprenorphine treatment approved by the FDA were a pill or a film placed under the tongue or on the inside of the person’s cheek until it dissolved. Some experts questioned the effectiveness of these methods. They argue that the efficacy of the treatment could be lost due to the lack of continuity. As an implant, it is provided a new option for patients recovery from opioid addiction who may value the unique benefits of a six-months implant, like not needing to take medications on a daily basis, compared to the other forms of treatment. According to FDA Commissioner, Robert M. Califf, M.D., opioid abuse and addiction have taken a devastating toll on American families. People and organizations should do everything in their power to make new, innovative treatment options available that can help patients regain control of their lives, Califf said. The latest approval provided the first-ever implantable option to support patients’ efforts to maintain treatment, as part of their overall recovery program, he added. Also, the current action plan from the organization has as a priority to expand the use and availability of medication-assisted treatment (MAT). The program is a “comprehensive approach” according to the FDA that combines approved medications with counseling and other behavioral therapies to help patients with opioid use disorder. MAT reduces withdrawal symptoms and the desire to use the drugs without causing the cycle of highs and lows associated with the narcotics use. Some of the side effects that come with the newest form of treatment are an implant site pain, itching, and redness, as well as headaches, depression, constipation, nausea, vomiting, back pain, toothache, and oropharyngeal pain. It requires specialized professionals to introduce the implant into the body with the particular dose, which could lead to an accidental overdose if it is mishandled .